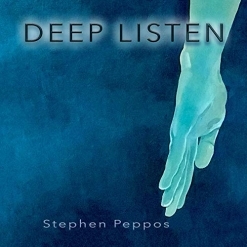 Deep Listen is Stephen Peppos’ seventh album release in the New Age music genre and his second ambient album. I have reviewed all of Peppos’ recordings and have thoroughly enjoyed them for their originality, beauty and rich sound quality. His previous release, 2017’s Leaving Terra Firma, was his first ambient album and was on the final ballot for the Grammy Awards for Best New Age Album. Peppos is also a highly-respected sound designer who has created music for some of the best music libraries in the world. His music has been featured on television, radio, in various theater productions and other media in addition to his own recordings. Peppos’ goal with Deep Listen was to make it more minimal than his previous albums as well as more personal, creating a “sound oasis” that is “reflective, introspective and yet immersive with deep fluid overtones.” It was recorded over a period of thirteen months, and is one of three projects with planned release dates in 2019. Peppos composed all ten tracks, played all of the instruments, mixed and mastered the album, and produced the project. Overall, the music has the feeling of vast open space (or water) that is present in many ambient albums, but although some of the music is dark and mysterious, there is no feeling of being lost or in danger. It is very easy to get caught up in the music and to let your imagination wander wherever it will while allowing the music suggest images and emotional responses - something that will likely change each time you really listen to the music (as opposed to keeping it in the background). By using and layering a vast assortment of sounds, Peppos has created a sonic soundscape that will be different each time you listen. There is constant movement in the music that is slow and fluid - a very effective element in making the music relaxing. Colors range from the deepest blues and blacks to flashes of dazzling light. Even the titles to the pieces are vague enough to only suggest what they are about, allowing for different interpretations each time. 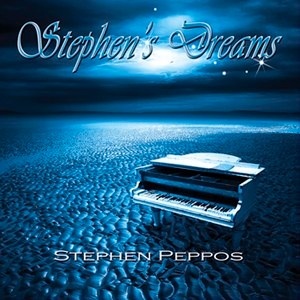 Some examples: “Tonality,” Wide Open,” “Awake,” “Transmogrify,” “Algorithm.” Stephen Peppos has succeeded well with his goals for Deep Listen and has created a fascinating musical experience! 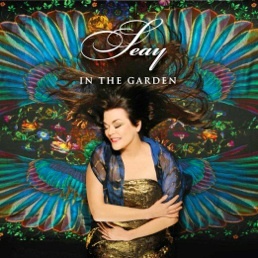 Deep Listen is available worldwide from Amazon, iTunes and many streaming sites.